So the relaunch of Naturals by Watsons was held at the scenic KL bird park last week and going through all five ranges of Olive, Argan Oil, Blood Orange, Prestige Rose and Marula Oil, the reintroduction for this second edition was warmly welcomed as positive responds on the products range were already flooding in. 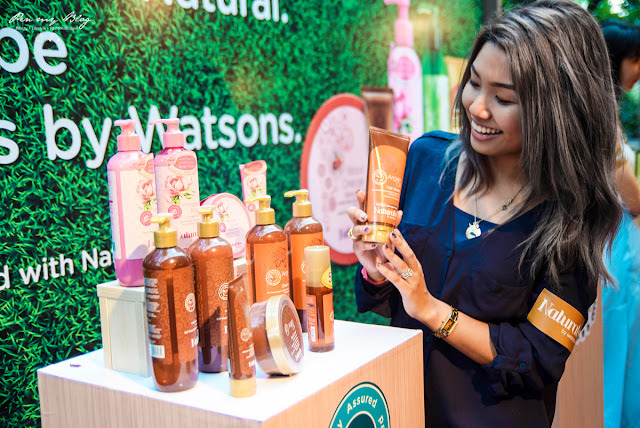 The collaboration of the launch was done with Malaysia's well known personalities including Malaysia's award winning actress, Deanna Yusoff, leading TV hosts Reem Shahwa, Mark O'Dea, Michelle Lee and celebrity entrepreneur Luke Loke. 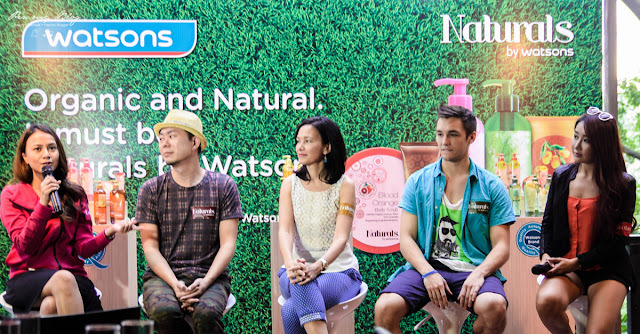 However with all that details aside, let's take a look at some of the highlights and see what this re-introduction with Naturals by Watsons have to offer. First up, the Marula Oil Collection from Africa made with African Mafura butter. 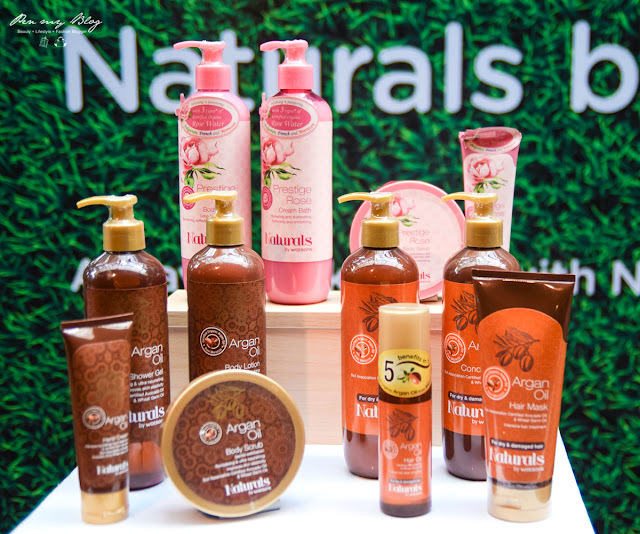 The packaging for this range is rather quaint and whilst its formulation is rich in essential fatty acids and anti-oxidants, it also has anti-aging properties that thoroughly moisturizes and softens both your crowning glory and body as well. It improves skin elasticity in the long run and overall the results give long-lasting hydration and protection. 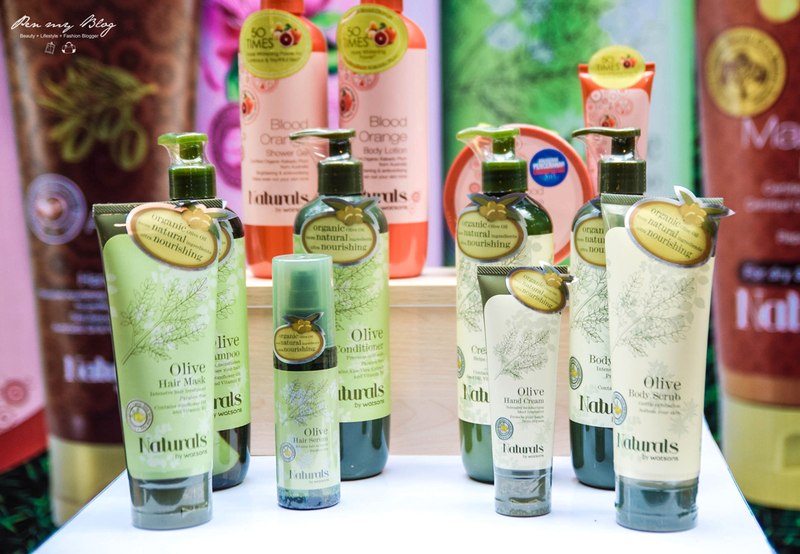 Now we are not going to be expanding much on the Blood Orange range as this collection is ideal for boosting brightening capabilities up to 50 times with Vitamin C, but with regards to the Italian Olive Oil Range however we focus on the essentials of Grape Seed Oil, Shea Butter and Vitamin C for that extra moisturizing upgrade to hydrate and protect your hair and skin naturally. This range can be used daily to gently cleanse to result in smoother and softer skin. Now let's touch on something light and floral so let's go into our final highlight which is the Prestige Rose. Made with certified organic rosewater, this formulation combines Bulgarian roses for ultra-rich nourishing, French roses for softening as well as rare Moroccan roses to balance you skin's moisture. This is a collection that does not dry or irritate the skin, is free from harmful ingredients and leaves a delicate uplifting fragrance in the most simple and natural way. 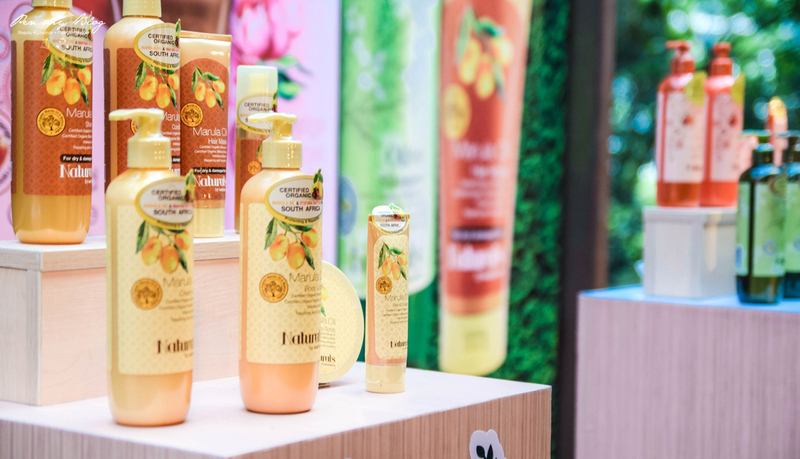 Overall the ranges above that were highlighted were good and though most of them were focused towards moisturizing capabilities, the scents and fragrances for each of these were lovely, depending entirely on preferences of course. 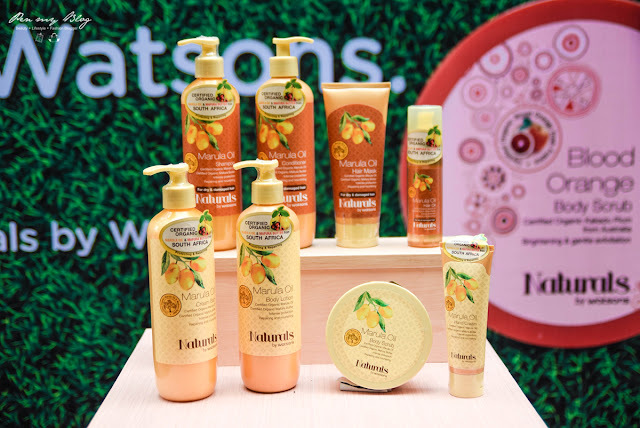 Nonetheless, for more details on Natural by Watsons and its five product range, you can always visit their Official Website for further information. In the meantime, the products have already been made available at all Watsons stores nationwide. The Prestige Rose range looks nice and the pricing also reasonable. this is quite a nice range and now they have more choices, i always love shopping for watsons brand products. This was a great and fun event. 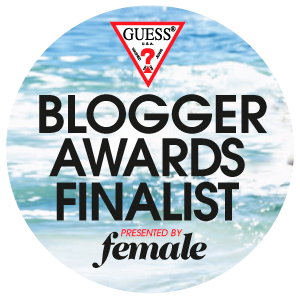 Glad we are a part of this! 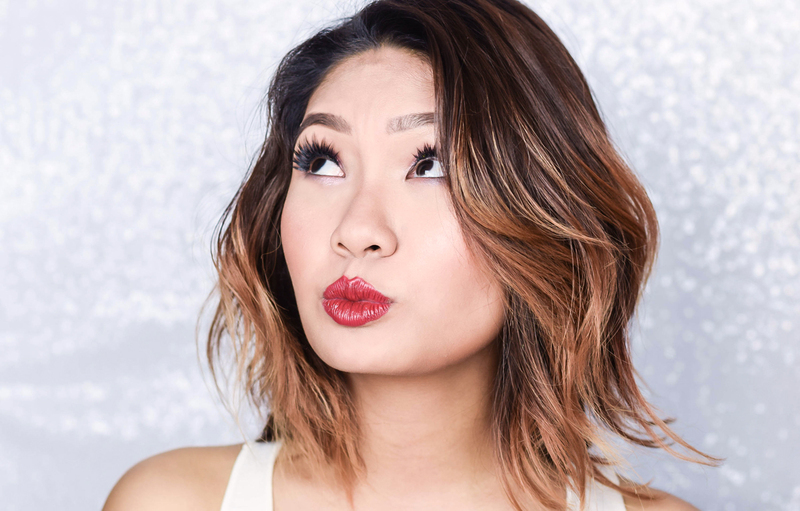 Love the products too! I love the bath lotion. Looks affordable too.